With the end of the year fast approaching and winter setting in, staying inside is a lot more favourable these days. However, this is a good thing for the players of League of Legends as something exciting is coming. TG SmokeyB: So I hear there is something big coming to LoL, can you explain to myself and TG what is coming? JaiyoHD: In the first week of December, there will be a League of Legends tournament where TG will be competing against other big clans. The tournament will be spread out over four days and will hopefully be the first in many to come. TG SmokeyB: What is the schedule for the tournament? JaiyoHD: The tournament will be starting on Monday the 3rd of December and will finish on Thursday the 6th of December. The tournament will be running for 4 consecutive days so Monday, Tuesday, Wednesday and Thursday. Each day one round of the tournament will be played meaning that there are 4 rounds in total. Games will begin around 7 PM GMT. On Monday and Tuesday, the round of 16 and quarterfinals will be played. They will both be best of three single elimination games. The semi-final will be played on Wednesday and the final and third-place match will be played on Thursday. All the games on Wednesday and Thursday will be best of five single elimination games. TG SmokeyB: Can you tell us some of the pre-tournament rules? JaiyoHD: To make sure that the tournament runs smoothly some pre-tournament rules were created so that no issues should arise during the tournament. Teams must comprise of 5 members minimum and are allowed to sign up with two substitutes. Teams must announce if they are using a substitute three hours prior to the games starting so that opposing team has time to review strategies, picks, and bans. If a team does not announce the substitute three hours prior to the start of the match they will lose all their bans for that day’s games. Lastly, we made a check in rule meaning that one of the two team leaders must check in an hour prior to the match starting to make sure that they are present and ready to play. TG SmokeyB: Are there any in-game rules we should know about? JaiyoHD: The in game rules are quite straightforward. No hacking or scripting and each team has a 15 minutes pause, if the issue cannot be solved within those 15 minutes they will either surrender or continue to play. TG SmokeyB: What made you want to create this tournament? JaiyoHD: One day I messaged the former HCO, TG The Punisher, with the idea of creating an event spotlighting 5 or 6 big games and having multiple tournaments for each game playing against other big clans. This would be a sort of Clan Olympics where each clan will get points depending on where there teams place in each tournament and eventually there being one winner with the most overall points. We decided that if we ever wanted this to happen we would need to run smaller tournaments first, to test run this idea and see how smoothly these tournaments would run. 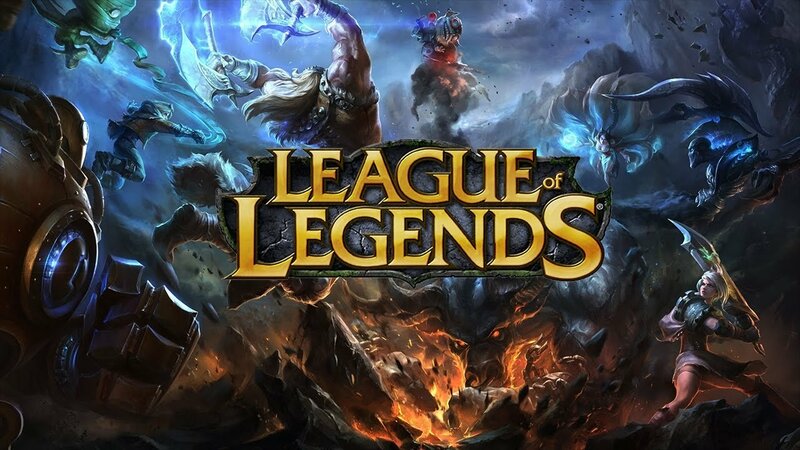 We came to the conclusion that a League of Legends tournament would be the perfect place to start and to go from there depending on how this tournament goes. Hopefully, it all goes to plan and we can start making these tournaments a regular occurrence also looking to start some in other divisions. TG SmokeyB: Who else is involved in running the tournament? JaiyoHD: TG The Punisher, the former HCO, helped me send in the sponsorship request. PoshGirl, the current LO for League of Legends, has been the main point of contact for TG teams and has been a great help in getting the TG teams interested. Otherwise, most of the organising and communicating with other clans has been done by myself. TG SmokeyB: What is the signup deadline date? JaiyoHD: There is no official sign up deadline but realistically we would like the 16 teams to be set around the 12th of November. TG SmokeyB: How can people find out more information? JaiyoHD: People can message me on the website or on Discord and I will gladly answer all questions. TG SmokeyB: Is there any other important information you would like to share with TG? JaiyoHD: f anyone would be interested in helping me organise more competitions, like this for other divisions, go ahead and send me a message either on the website or Discord! An interesting time indeed for League of Legends. Great to see completions continue to appear. Great work to the Competition Team! Thank you very much JaiyoHD for helping with this article. Looking forward to this? Interested in joining the CTO? Comment down below!